Pastor James Edward (J.E.) 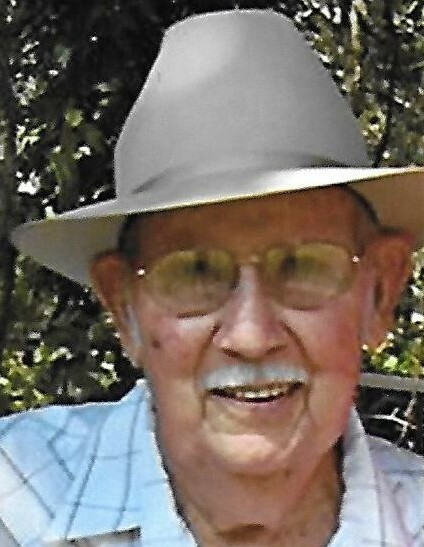 Pierce, 95, of Bradenton was gathered unto his people Sunday morning July 15th, 2018. He died peacefully at home in the arms of his daughter, Bunny and in the presence of his wife Judy and granddaughter Jessica. Born in Glenmora, Louisiana on January 15, 1923 to James W. and Mary Ella Pierce, Pastor Pierce was the last surviving child in a family of eight children. Most of his childhood was spent in the Ybor City district of Tampa during the Great Depression…hard times made more challenging by the untimely death of his father, leaving a mother to feed eight hungry children. As a young man Pastor Pierce worked as a carpenter and later, during World War II, he worked as a welder in Tampa’s naval shipyard. Following the war, he became a fabricator for American Can Company until the Lord called him to preach the Gospel in 1947. Answering a call to pastor in Bradenton in 1949, Pastor Pierce moved with his wife and three small children to Manatee County. The church was small and poor. Having no building of their own and only $50 in the treasury, the church met in the local Odd Fellows Hall. But by the goodness of God and the leadership of their new young pastor the church soon purchased a small piece of ground on 26th Ave. east and a retired wooden Army chapel located at Drew Field in Tampa. Working largely by himself, Pastor Pierce dismantled the building and hauled it to Bradenton a load at the time on a Model A fruit packing truck. The old chapel was reassembled as Grace Baptist Church of Bradenton and still survives as the core of the present church building at 509 26th Ave. east. Having put his hand to the plough, Pastor Pierce never looked back, faithfully and carefully shepherding the flock of God at Grace Baptist Church for the past 70 years. The countless number of lives he has loved, touched, counseled, instructed, comforted, guided, helped, and led to Christ only the Lord knows. He was wholly given to the work of the ministry. A sinner saved by grace. A man of God greatly used. Pastor Pierce was predeceased by his oldest daughter, Judy Cook. He is survived by his wife Judith McSwain Pierce; sons James (wife Sherry) of Bradenton, Gary (wife Cletia) of Zephyrhills; and his youngest daughter, Mary (Bunny) Burnham (husband Jim) of Bradenton. Pastor Pierce is also survived by six grandchildren, 12 great-grandchildren, and 1 great-great-grandchild. He was highly respected and deeply loved by everyone in his family, his congregation, and a host of good friends. He will be deeply missed. We thank him for the memories we will continue to enjoy and for the impact his life and ministry has had in shaping each of us who knew him. Pastor Jim Burnham will conduct the funeral service Friday morning, July 20th 2018 at Grace Baptist Church, 509 26th Ave. East in Bradenton. The viewing will begin at 10 a.m. followed by the funeral service at 11 a.m. Interment will be at Manasota Memorial on the north side of State road 70 in Oneco. Food will be provided in the church fellowship hall afterward. In lieu of flowers a donation can be made to the Grace Baptist Church mission fund and will be distributed among the missionaries supported by Grace Baptist Church with acknowledgement in memory of Pastor Pierce. Flowers may be directed to Griffith-Cline Funeral Home, 720 Manatee Ave. West, Bradenton 34205.